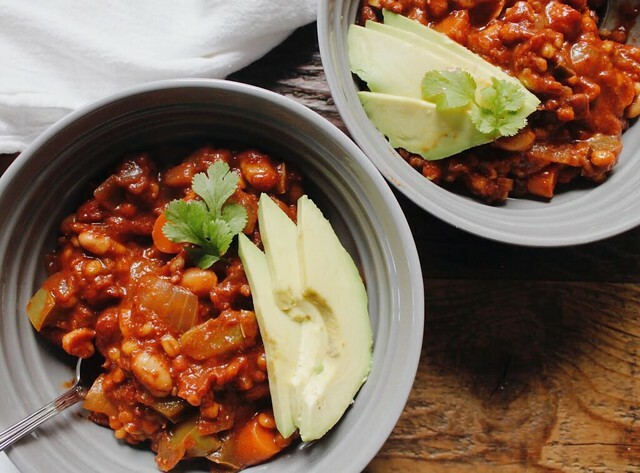 This is a look at how to make a pot of vegetarian chili that will last a family of four at least a couple of days. It gets better as it sits in the refrigerator, so try not to eat it all up the first day. 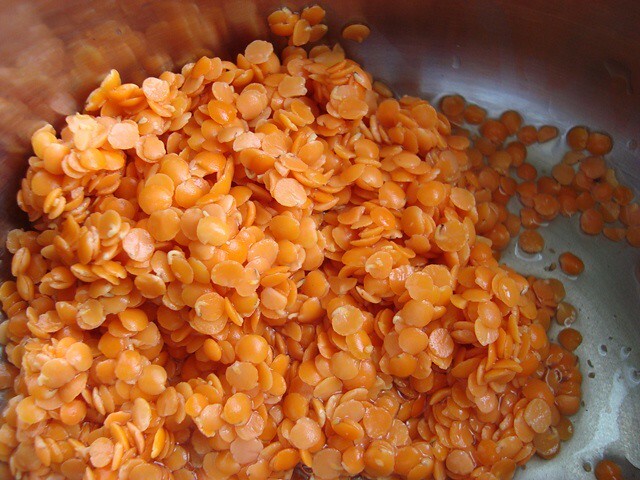 If you enjoy lentils, you'll want to add about a half cup to a cup of cooked lentils to the mix. Just give any variety of lentils a good rinse, combine one part lentils with two parts water, bring to a boil, then simmer for about 20 minutes with the lid on. Put your cooked lentils aside for now. 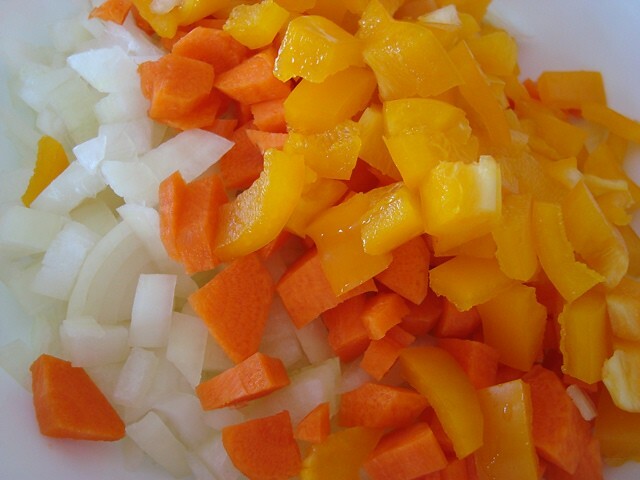 Start by chopping up two medium yellow or red onions, two medium size carrots, and a small to medium size bell pepper. 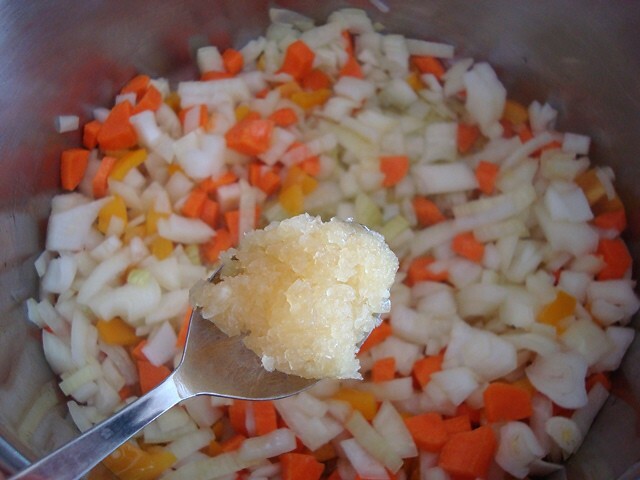 Bring extra virgin olive oil up to medium heat in a large pot, then sauté onions, carrots, and bell pepper for about 5 minutes, or until onions are translucent. Then, add about two teaspoons of minced garlic (equivalent of 4 cloves of garlic). Now for your spices. Add two tablespoons of chili powder. 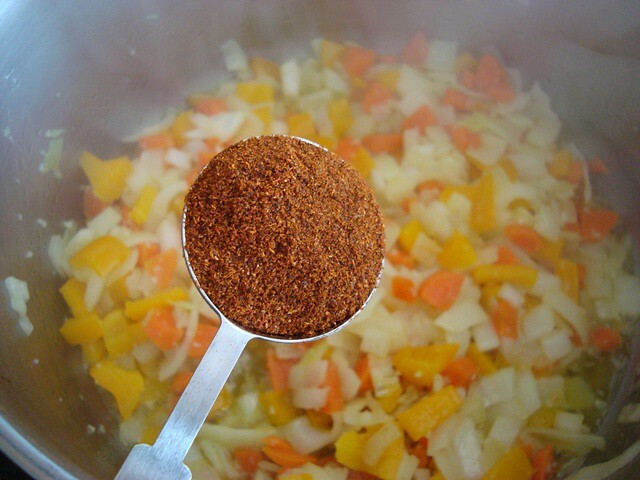 One-quarter teaspoon of cayenne pepper or red chili flakes. 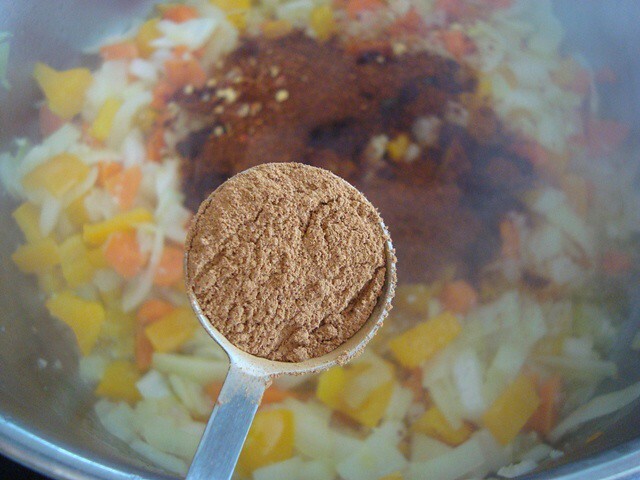 A teaspoon of ground cinnamon. 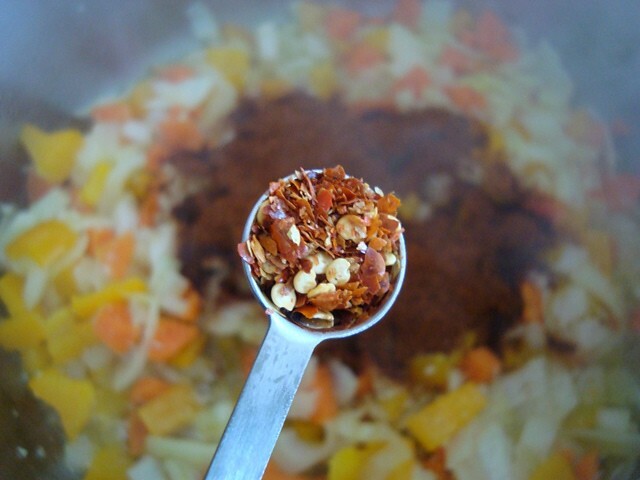 And that's all you need if you want more of a mild chili that provides distinctive chili flavor but won't overpower your taste buds the way truly authentic chili can. If you want to go all out, add one teaspoon of cumin and another teaspoon of coriander - both of these are already present in small amounts in the chili powder. Next, add a cup of vegetable broth. If you don't mind chicken or beef broth, these are fine substitutes. Now for some protein. 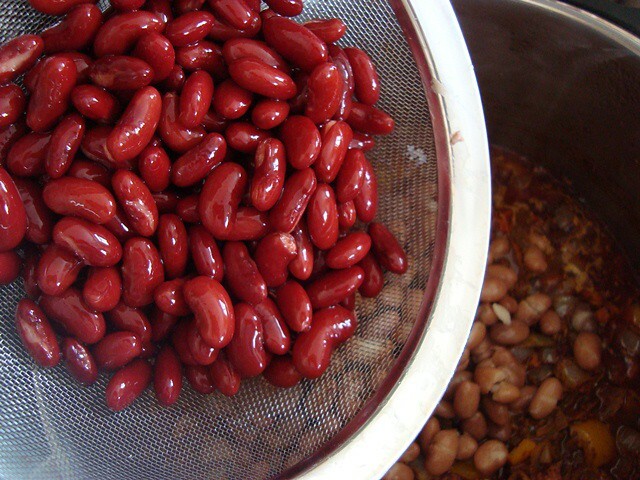 Add a can of white pinto beans and a can of kidney beans (be sure to give them a good rinse before adding). 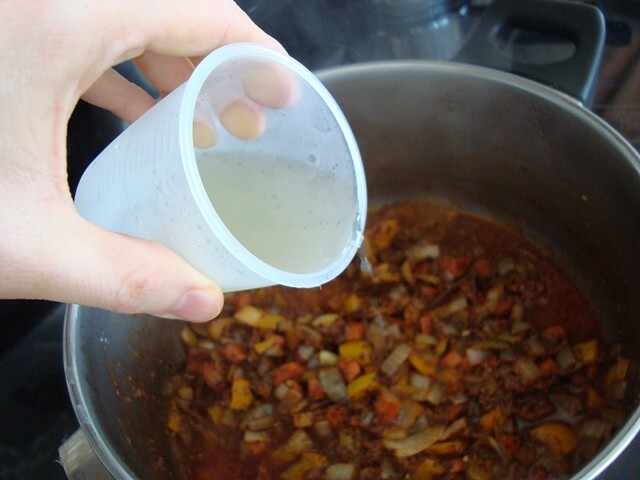 To add a subtle chewy texture to your chili, rinse about half a cup of barley, then add it to the pot - the liquids from the other ingredients will cook this right up. 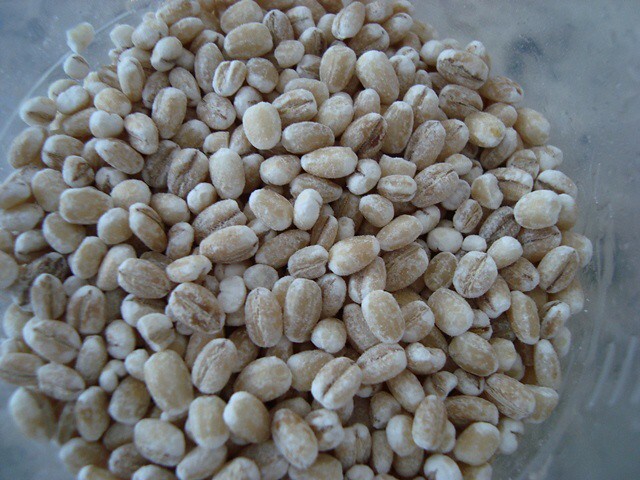 For more protein and minerals, add half a cup to a full cup of cooked lentils. 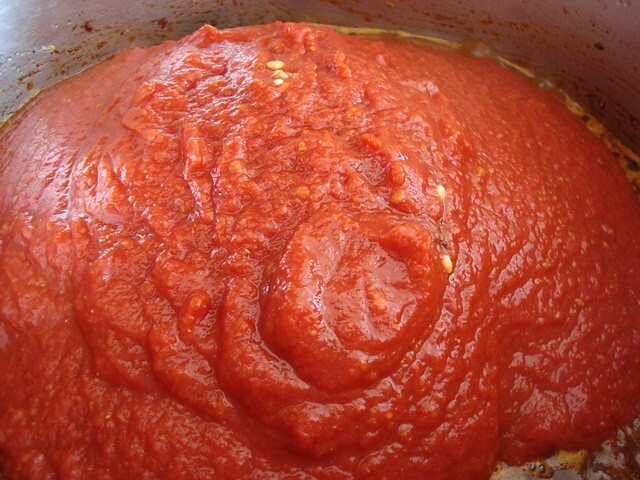 And to bring everything together, add a large can (about 28 ounces) of crushed tomatoes. Give everything a good stir, allow to simmer for a good 25 to 30 minutes to ensure that the barley plumps up properly, season with sea salt and pepper, and you're done. 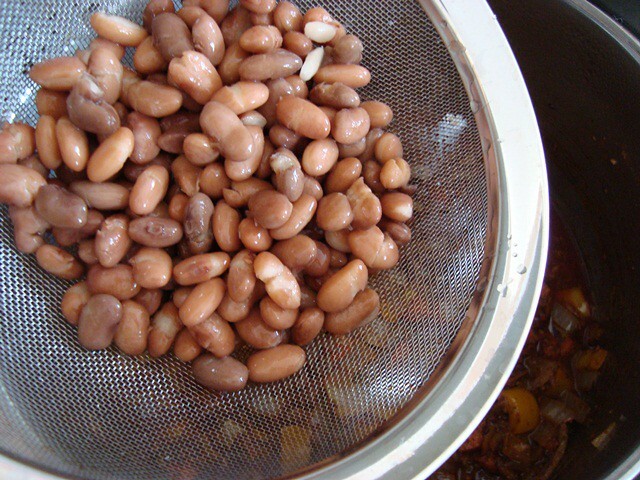 For a little sweetness and mild crunch, add one to two cups of cooked corn when you're adding your beans. 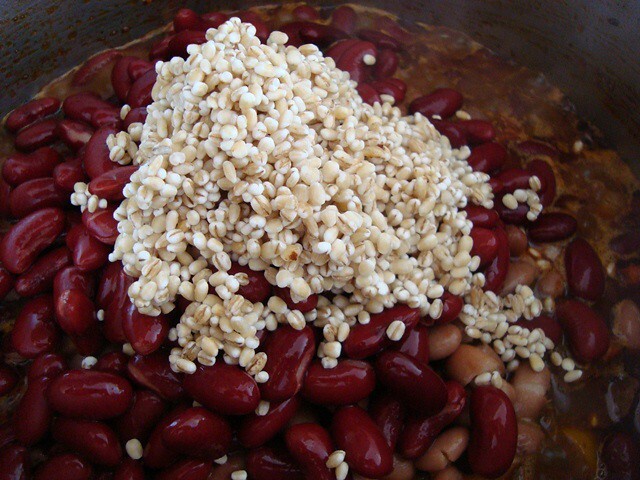 Enjoy your chili with a slice of fresh bread, crackers, or a favorite grain dish. I like to use my chili as a thick sauce over a simple bowl of rice. 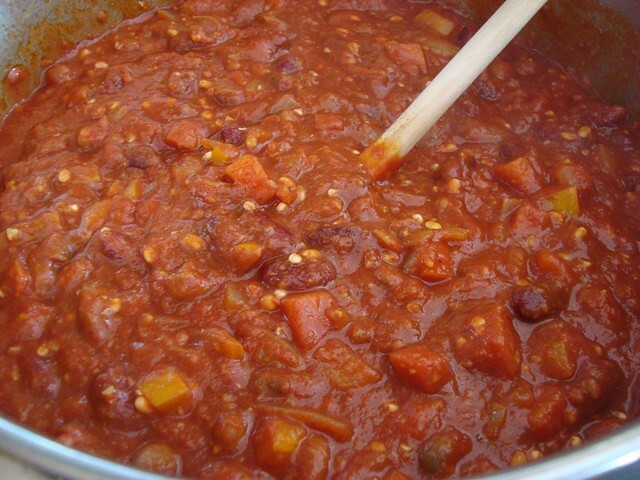 If you have a favorite chili ingredient that I've left out, please consider sharing via the comments section below. Suggest adding ground cumin. Perhaps start with a couple of teaspoons to see how you like it. Alternatively, you can use whole cumin seeds at the beginning. Suggest using one tablespoon. Saute in a bit of coconut oil until the seeds start to turn brown and give off a wonderful fragrance, and then add your wet ingredients. 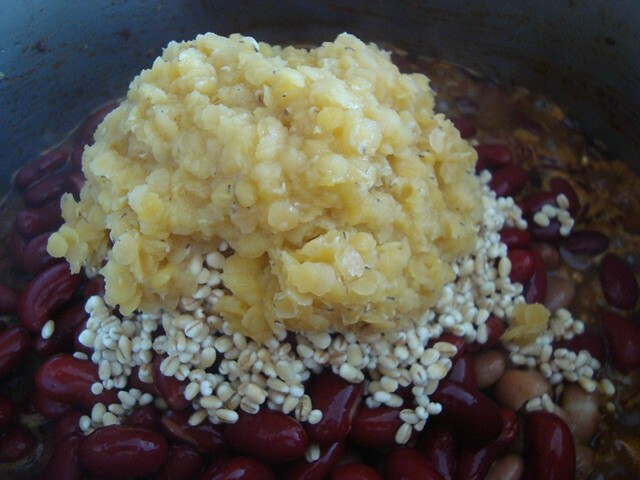 I'm always trying new veggie chili recipes, and I like the idea of adding barley, I've never heard of that one. I like to add cubed butternut squash or even mashed pumpkin, whichever is handy, for the fiber. I love your recipes and exercises, keep up the great work! Wow - this sounds great. In all the years I've cooked vegetarian, I never thought of adding lentils and barley to my chili. Great idea! One word of caution, however - if you do add corn, make sure it is Organic. Nearly all, if not all, corn and soy products produced in the USA are now genetically modified. I just added celery and served it with a piece of Rye garlic bread. Thanks!